Once upon a time there was a little girl Jean Clare Comba and a little boy Stephen James “Jim” Sheehan who started first grade together at St. Mary's Catholic school. Mom was born November 20, 1931 and is a big sister to a sibling that died along with her mother Margaret Veronica (Walsh) Comba during pregnancy when Mom was only 18 months old. After her father James William Comba died when she was 14, relatives and neighborhood friends came to her rescue and became her knights in shining armor. Forever we will be grateful to her cousin Sister Dolores Hall and Ione, Geri and Mike Sullivan whom she considered her sisters and brother. Mom and Dad graduated from Central High School in 1950. She became an X-ray technician and had a career in that field that lasted more than 50 years. 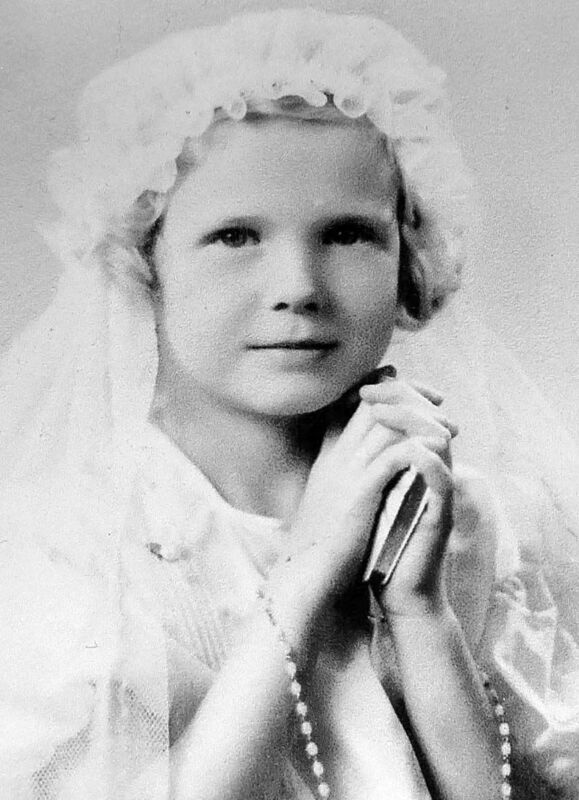 On October 14, 1952 she married the love of her life at St. Mary's Catholic Church. Two weeks later they moved to San Diego where Jim was stationed in the Navy. After the birth of their daughter Jean Ann in November 1953, the proud parents moved back to Butte the following month to celebrate Christmas as a family. Their story continues as Jean Ann and Tom Minea (deceased) started their family Kelly and Mike Trevenna, Molly and Mike Rice and their daughter Maribelle, Catherine and Michael Jaeger, Mark and Kari Minea, Zack Minea. James Stephan was born in October 1954 and married Kate Holland Sheehan and their children Shane Sheehan, Katura and Rico Patacini and son Ryker and daughter Bria Faye, Kylie and David Voth and daughter Emma Grace continues their legacy. And the next chapter starts with Robert Joseph after he was born in February 1956 and married Patty Reid Sheehan. Their family grew when their son Dan met Cassie and children Atlanta and Christian were born. Dan later met and married Sheri. Stephen and Jannet Sheehan and children Jade Ann Clare and James Robert, and Joleen Sheehan with her daughter Ivy complete Bob and Patty's family. They completed their family 9 years later. "We waited a long time for Daniel George to arrive in July 1965. He was worth the wait." Dan married Leigh Ann Pangburn and her children Kyle and Kelsey joined the Sheehan clan. Dan later met Kathy Kraut and she has become his longtime pal. Mom and a group of young mothers started a sewing group "Club" that continued as their children and grandchildren grew up. Many crocheted afghans were made over those years. 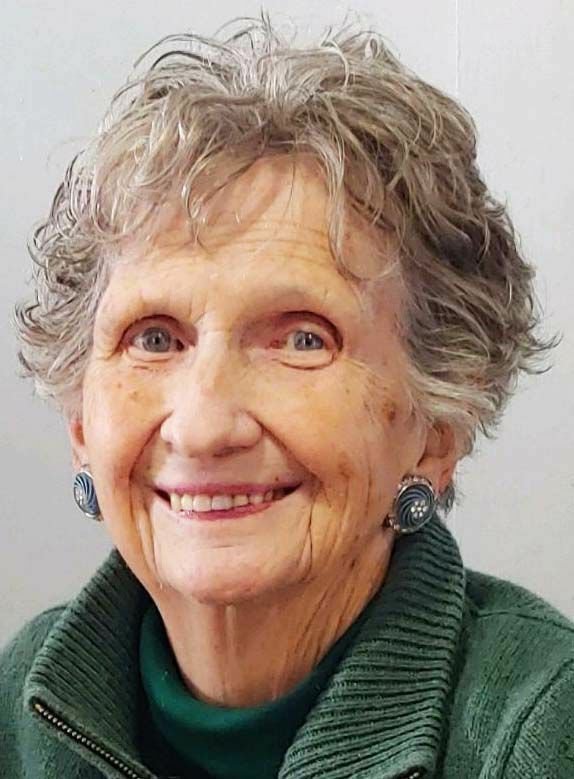 Later in life she joined another group of ladies to crochet prayer shawls for hospitalized patients and people living in local nursing homes. Her Catholic faith, which was always the center of who she was, grew even stronger when she joined the Charismatic Prayer Group in Anaconda. She faithfully attended the weekly gatherings for over 30 years. She also made a Cursillo and then for years after worked and prayed as a member of the leadership team and this spiritual sisterhood widened her circle of love. Mom was proud of her Irish heritage and became a member of the Ancient Order of Hibernians. Mom loved the trip to Ireland that she took with Jean Ann and granddaughters, Kelly, Molly and Catherine. Her beautiful blue Irish eyes were always smiling wherever she went. There are probably not too many people that Mom knew who didn't receive a card from her. She considered this as a ministry and she was totally dedicated to it. You name an occasion in anyone's life and if she knew about it a card with her thoughts and prayers was sent, usually with a prayer card or lamented newspaper clipping included. Mom and Dad recently celebrated their 66th wedding anniversary. During their life together they shared many memorable times, but one of their greatest pleasures was their many camping trips to the Madison River. Mom’s transition into eternal life was surrounded by the love of family and friends and many blessings were received during this holy time. Jean Clare passed away at her home after a brief illness on Saturday, February 9th. She was preceded in death by her parents and sibling, her in-laws Ann and Steve Sheehan, Jim's brother Bob and relatives and friends too numerous to include. Words of wisdom from Mom: "Life can be long, or life can be short, but no matter how long life is, it's short." Friends may call on Thursday after 5:00 p.m. at St. Patrick's Catholic Church. Parish Vigil will be recited at 6 p.m. Funeral Mass will be celebrated on Friday at 11:00 a.m. Luncheon and celebration of Mom's life will take place immediately after Mass at the Knights of Columbus. At that time the family will invite anyone who has a fond memory of Mom to come forward and share. "I have fought the good fight, I have finished the race, I have kept the faith." Even better than a fairy tale, this story ends with the promise of eternal life for Mom. This is our Catholic faith and our strength at this difficult time. ”Well done good and faithful servant. ... Come and share your Master’s joy."